Color is a powerful part of life that I have been talking about a lot lately as I contemplate my Navajo white walls that are way under-nourishing to my soul. From colored sunglasses to alter your moods to the deliberate use of color in your home to help you heal or overcome obstacles and create personal power, color therapy (or, chromotherapy, its proper name) is a big subject that we absolutely must talk about! That said, here are a few fun ways to start playing with color therapy to paint your life in new shades of optimism and greatness! 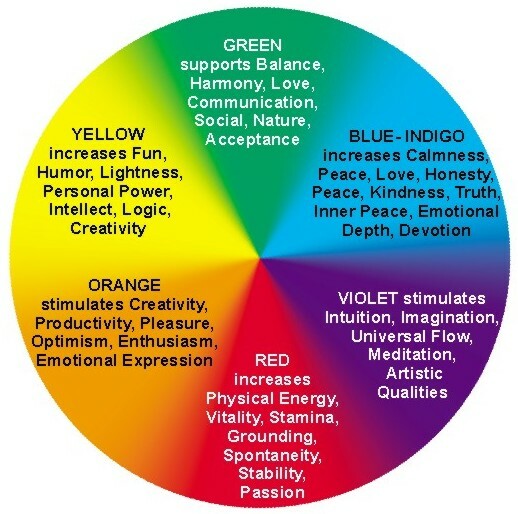 Color Therapy In Your Home: Although we have already touched on the symbolic meanings of various colors in my feng shui & science canon (and you can read all about it HERE), there are extensive studies on the properties of color and physiological & psychological responses that you can read right here at Colour Therapy Healing. Above, you can see a world of green. Green is balancing, harmonizing and encourages a sense of oneness and understanding. But its best to mix deep greens with other colors so that it doesn’t become overwhelming and create the opposite effect of expansiveness by shutting down the energy in the space. To use these glasses, select the color that corresponds to a specific energy that you need in your life and pop them on for an hour or so to feel the effects. 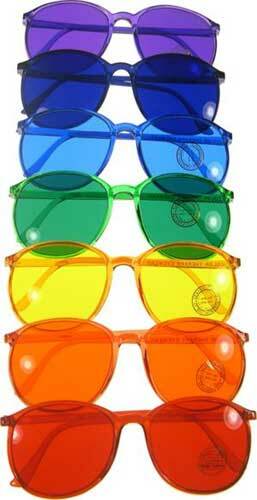 Some people buy a full set of colored glasses and use them fluidly. 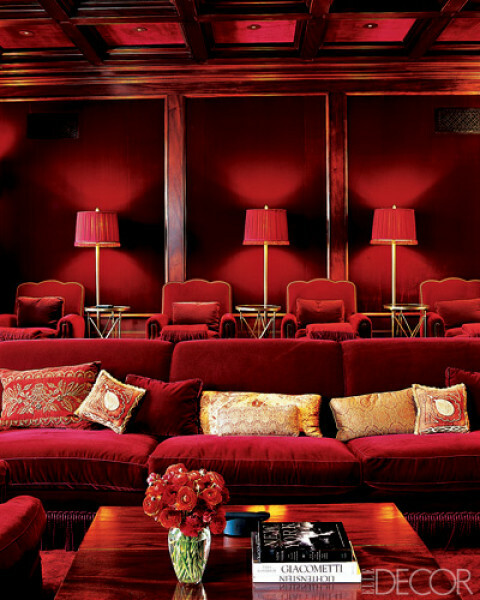 You may have a specific issue that could be benefited by a single color used over a longer time. As with all things, go slow & no overdoing it! Eating Your Color: The easiest way to start using color therapy in your diet is to eat with a rainbow in mind.About ten years ago I was introduced to a very trendy, very fabulous nutritionist who insisted that I eat what she specifically called a “Rainbow Diet.” I will tell you one thing: eating all seven colors of the rainbow on every plate you eat is enough to drive you to drink! That said, there are specific circumstances where eating one color- for example, red when you need more warmth and passion or digestive heat- can be very enlivening. 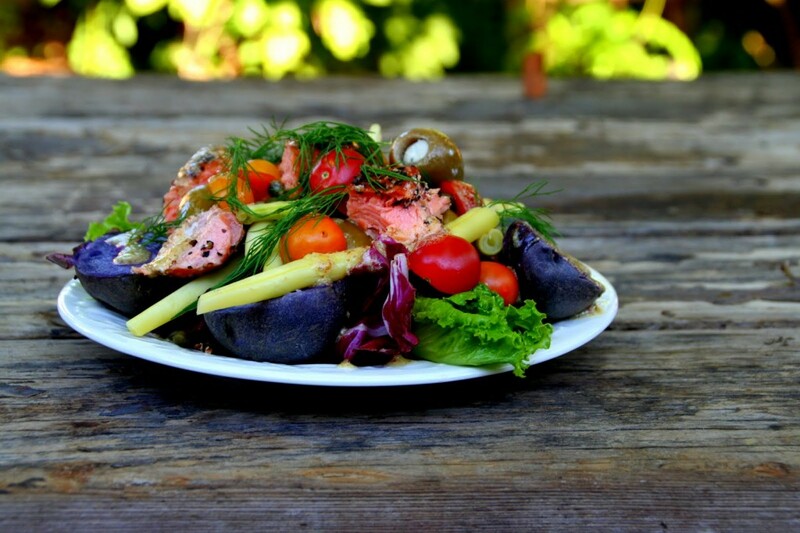 Studies have shown that eating beautiful food makes that food MORE NUTRITIOUS! True story, we do eat with our eyes as well as our mouths and digestive system. So, the idea of a rainbow colored salad or a colorful plate a day (for when you are feeling low or depleted) can go a long way in adding both a spectrum of nutrients and extra absorption to your body. Wearing Color: Wearing color does affect both how you feel and how you are percieved. This color wheel from AuraVisions can give you a sense of various colors and their meanings. If you look at the simplistic chart above you can select colors based on how you feel and what you want out of life. Some people select their wardrobe colors intuitively, but if you are used to a fairly neutral style, the chart above can guide you. If you are trying new activities in life that you have before attempted, try accessorizing with colors that bring this energy of adventurousness into your space. For example, if you are starting on a creative path, integrate some violet into your wardrobe for a season and see how you feel. Red lingerie may seem like an obvious choice in the passionate and racey department, but it can also help you feel more grounded. Play with color! Embrace it! Enjoy it! And if you try some color therapy, please let me know how you feel!!! Getting Grounded Can & Will Revolutionize Your Life! 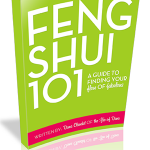 Wall Colors & The Feng Shui Elements! Hiii, It will be great if i get more info about color therapy, i heal patients with Sujok Therapy ( Accupressure, Accupuncture, Seed Therapy, Color Therapy, Magnet Therapy). I also heal with Yoga and Meditation.